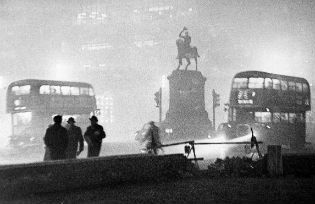 The 1952 fog killed thousands but catalysed action to clean up London’s dirty air, writes Professor Peter Thorsheim, the author of "Inventing Pollution: Coal, Smoke, and Culture in Britain since 1800". In December 1952, London experienced a catastrophe. As depicted in the Netflix series The Crown (which last year aired on Chinese streaming sites) the disaster seemingly came out of nowhere, as sunny blue skies suddenly gave way to a choking, blinding, fog that enveloped the city and was more severe than anything many had seen before. Contrary to Churchill’s assertions that the fog enveloping London was nothing more than an unusual weather event, experts had long known that London fog consisted of much more than water vapor. It also contained large quantities of fine particulates and acidic gases produced by the city’s millions of large and small coal fires. For many generations of Londoners, coal (later supplemented by gas or electricity derived from coal) had provided residents of the British capital with nearly all of the energy that they used for heating, cooking, transport, manufacturing, and lighting. Although it was plentiful, versatile, and cost-effective, coal came at a high price in terms of its impact on human health and the environment, as well as on the miners who risked their lives and lungs in the dangerous and dirty work of bringing it to the surface. Because of London’s large population, its density, and its dependence on enormous quantities of relatively dirty bituminous coal, it had suffered from serious and year-round air pollution for hundreds of years, as well as repeated, though largely ineffective, efforts to combat the smoke plague. The problem often reached its greatest extent during the winter months when chilly weather and diminished daylight prompted residents to increase their consumption of coal at the same time that these seasonal conditions increased the likelihood of foggy weather. Usually, breezes carried away these smoke-filled fogs within hours or sunshine burned them away, yet occasionally they persisted and grew worse. When this happened, no inhabitants of London could escape their impact. In addition to limiting visibility to metres, such fogs made it difficult for many people to breathe. Hospital admissions spiked, as did the mortality rate. Yet the fog that descended upon London in 1952 was far worse than even the most severe fogs that most of the city’s roughly nine million residents had ever encountered. It originated not from a single cause, but from a rare and unlucky confluence of factors that resulted in the most severe air pollution episode in London’s storied history. To be sure, the time of year and the weather both played a crucial role. The fog struck within weeks of the winter solstice, which meant that the hours of daylight were extremely short. The disaster also occurred during a period of cold weather, which made fog more persistent. Yet all these phenomena were common in London most years from November through January. An additional, and highly significant, meteorological factor at play in December 1952 was unusually still air, coupled with a strong temperature inversion (or “anticyclone”), which acted as lid over the city. Rather than rising high into the atmosphere or being carried downwind into the countryside, the smoke which poured from London’s chimneys filled the streets, where it mixed with moist air to form a toxic amalgam: smoke fog, or smog. As visibility declined and the temperature dropped, people burned even more coal for heating and lighting, which resulted in ever-more polluted air. 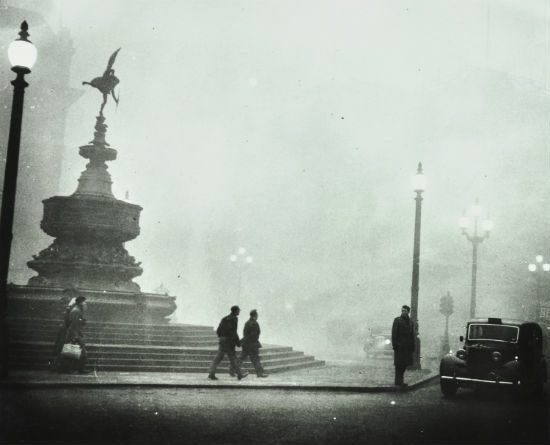 Despite his initial insistence that the crisis was a freak natural occurrence unrelated to human actions and beyond the capacity of policymakers to influence, Churchill quickly acknowledged that the fog covering London in December 1952 was made more intense, and a danger to health, because of the coal smoke it contained. And it was rising coal consumption that provided the final ingredient in the coincidental combination of factors that caused this tragedy. In 1952, Britain was only gradually recovering from the destruction and debt burden of the Second World War, and many essentials, including coal, remained rationed. Yet just before the notorious fog disaster hit London, Churchill’s government had announced that the poorest and most polluting grade of coal (known as “nutty slack”) could be obtained without ration coupons. Spurred by official advertising that encouraged people to stock up on fuel and burn it without the constraints that rationing had imposed, consumption shot up. As depicted in the Netflix drama, the ensuing fog made it all but impossible for thousands of Londoners to breathe, and hospitals quickly filled to capacity as people sought help. Yet medicine could offer little solace. Thousands of people essentially suffocated. Others, as also shown in The Crown, perished in accidents brought about by the near-zero visibility that blanketed London. The precise death toll cannot be known exactly, but the number of fatalities recorded in Britain’s capital during the week of the fog greatly exceeded the week that had preceded it, and it remained much higher than normal for several weeks thereafter. The total number of deaths attributed to the fog incident may be as high as 16,000 – roughly half as many Londoners as died from bombs during the Second World War. 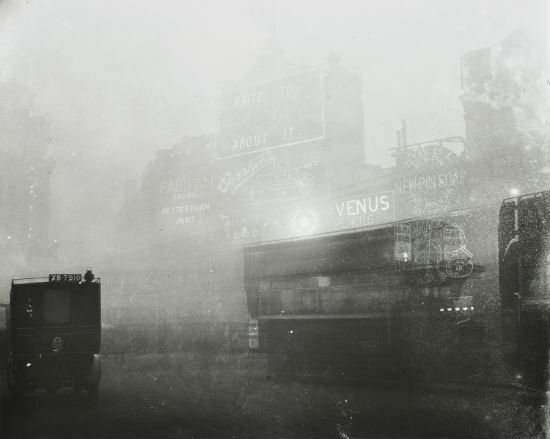 The political crisis that followed this disaster forced the government to investigate the problems of air pollution not just in London, but in Britain as a whole, and it served as a crucial catalyst to the passage of the far-reaching Clean Air Act in 1956. Largely overlooked at the time, however, was the fact that chronic exposure to polluted air killed thousands more people every year than acute crises such as the fog disaster of 1952. Nationally, this problem was so extensive that it likely depressed the overall life expectancy of people in the United Kingdom compared to similar countries less dependent on such a dirty source of energy. Today, at a time when the world’s two largest countries face severe and growing air pollution as a result of coal and petroleum consumption, London’s experience of more than a half-century ago is worth remembering. Days or even weeks of particularly noxious air quality garner headlines and shock many people from their complacency, but the larger danger is the less noticeable – but deadlier – pollution in aggregate that is experienced by millions every day of the year. Peter Thorsheim is an associate professor of history at the University of North Carolina at Charlotte and is the author of Inventing Pollution: Coal, Smoke, and Culture in Britain since 1800. Professor Peter Thorsheim’s book “Inventing Pollution: Coal, Smoke, and Culture in Britain since 1800” is available in Chinese translation from Douban here. The original English-language version is available from Amazon here.